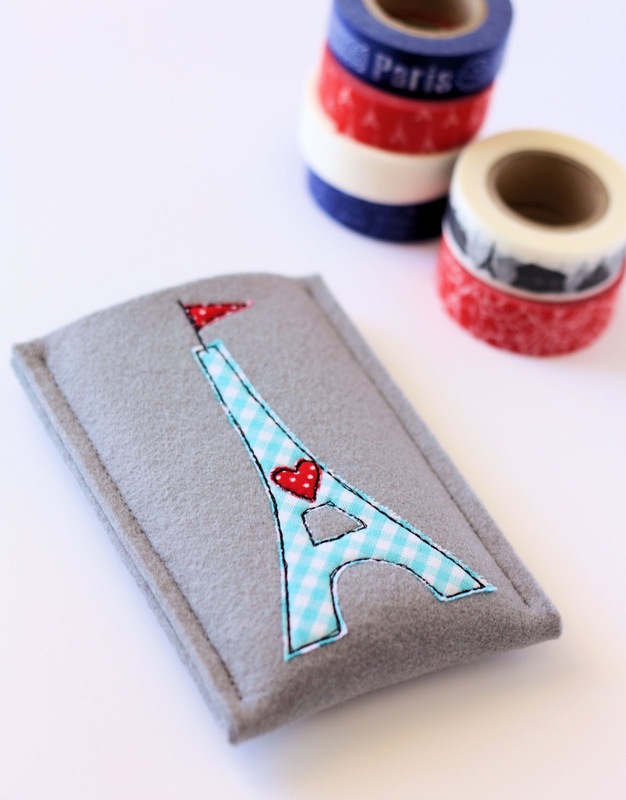 My smartphone has had a makeover with a new Parisian inspired cover. 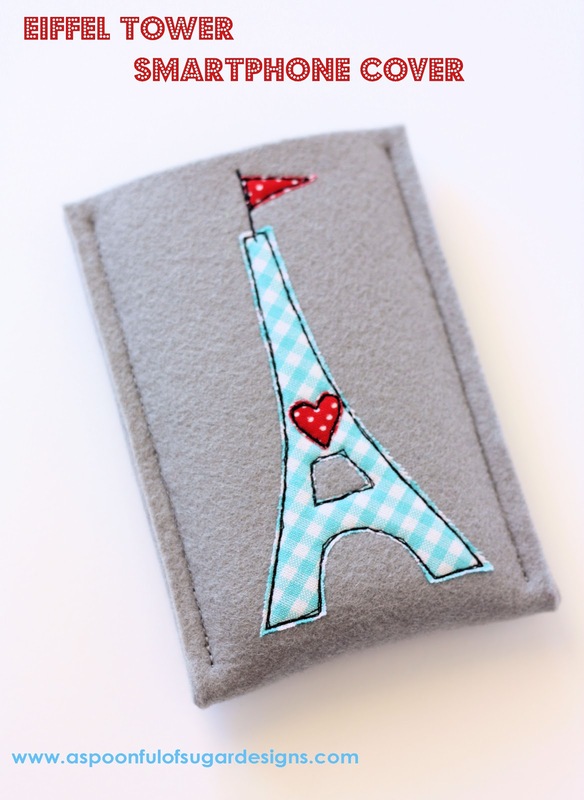 I love using thick industrial felt for phone covers – they protect the phone whilst in your handbag, and they are quick to construct so you can make up a batch of them as gifts for your technology loving friends! If you would like to make one, here is the “How To”. 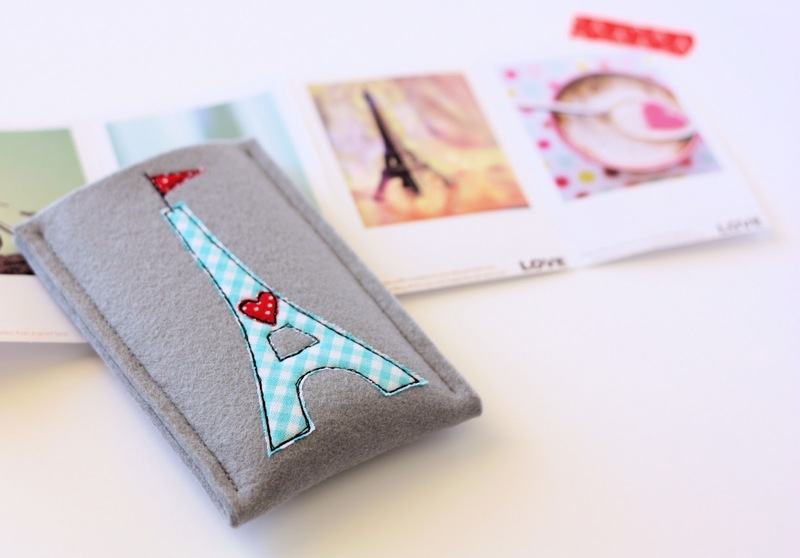 The cover is sized to fit a Samsung Galaxy S or iPhone 4 (you can easily alter the dimensions of the felt to fit your model of phone). The cover should be a snug fit so that it doesn’t fall out of the cover. On the middle of one of the short ends of felt, trace a semi circle (I used a 1 ” diameter cotton reel as a template), and cut out. Trace the appliqué templates onto the paper side of the appliqué film, and cut out, leaving a 1/4″ allowance. Iron the Eiffel tower onto the reverse side of the blue gingham. 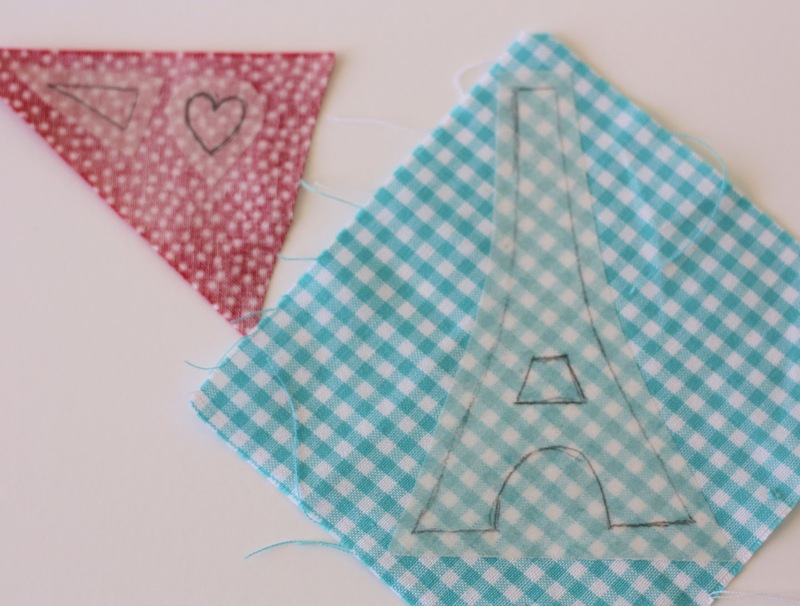 Iron the heart and flag onto the red polka dot fabric (as per manufacturer’s instructions). Cut out appliqué shapes. 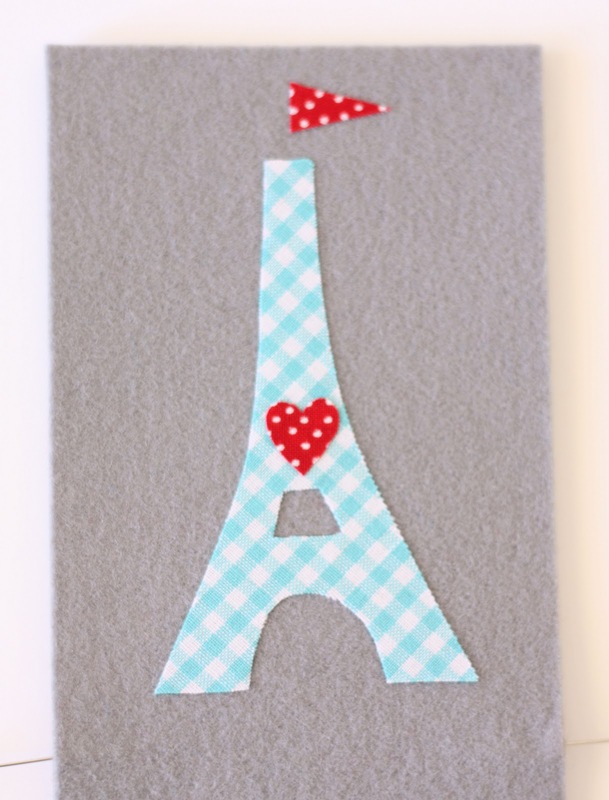 Position the Eiffel Tower appliqué shapes on the top half of the piece of felt. Refer to photograph for placement. Press in place following manufacturer’s instructions using iron on wool setting. Using black thread, stitch around the perimeter of the shapes using a scant seam allowance. Sew around each shape three times. Try not to stitch around the shape in exactly the same place so as to give a sketchy appearance. Tie off loose threads. Fold the phone cover in half with the wrong sides facing. Secure the sides with bull dog clips to hold the felt together. Stitch up each side, starting and finishing 1/4″ from top and bottom fold. Over sew ends, and tie off loose threads. Edit: You can find industrial felt by sarching for “industrial felt” or “thick wool felt” on Etsy. If you would like to subscribe to our newsletter (which is published every 3-4 weeks), you can do so here. This is so cute! I have to make it. Thank you for sharing such loveliness. I love it!!! This is awesone!!! Thanks for the tutorial, the project is very nice! So cute ! Thank you for taking the time to share the tutorial. 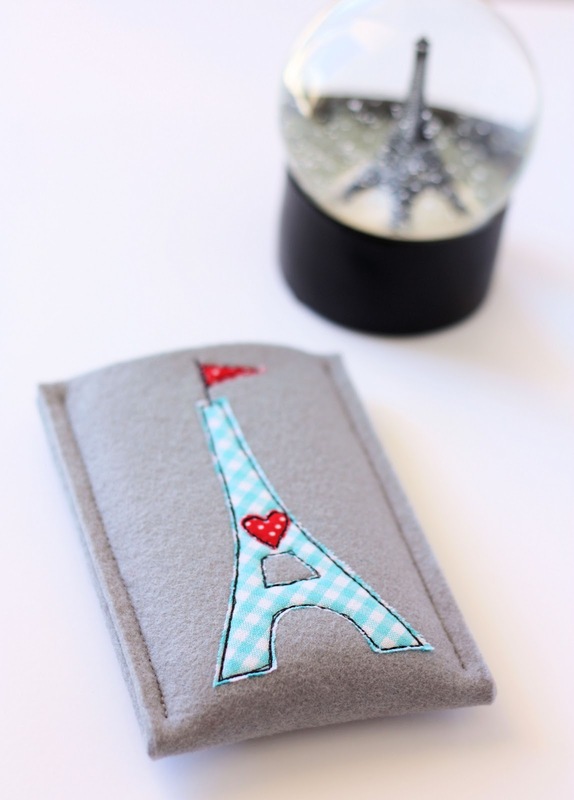 Cute project, especially with the Eiffel Tower accent. I bet this is quite soft and cushy, good protection for your phone. 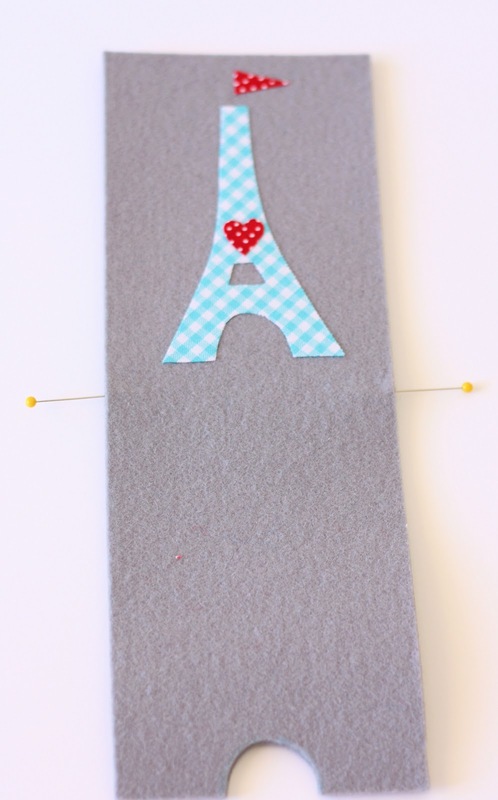 great tutorial … where do you get industrial felt from? Beautiful Lisa!! 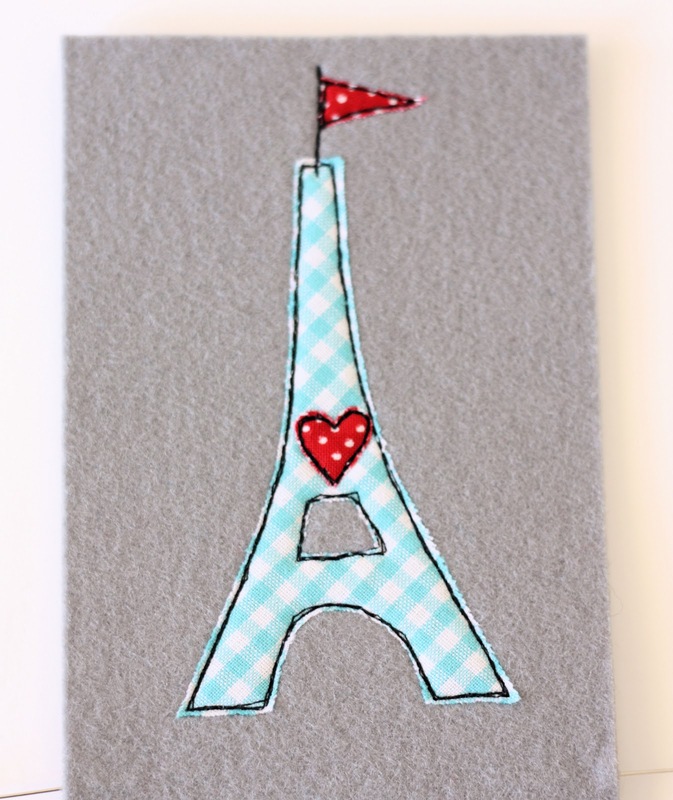 Love the Eiffel Tower one! What a gorgeous and functional project! And thanks for providing the industrial felt link…that was my next question! This is sweet! I love that little Eiffel Tower! Now I just need a smart phone, lol! So cute! I think I need to make myself one soon. I don’t have a smartphone, but I do have an Ipod so i’m going to make one for my Ipod I think. Thank you for charing! Would love to make this but Scribd won’t let me download the template unless I become a Premium User! So cute! My daughter would love this (if she had a phone). Just what i was looking for, for my new smart ” toy”! I’m going to try it tomorrow! Thank you for sharing.